In The Guard of Dungeon, humans were caught by the attacks of an unidentified alien force. A hero is needed to fight off these life-threatening aliens. Expect mad and unpredictable engagements as you deter the alien invaders with the help of various highly advanced weapons and explosives. The fate of planet earth lies in your hand. Gather your boys! We're moving in. 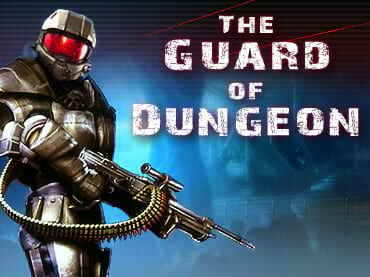 - The Guard of Dungeon is a free full version game to download and play. If you have questions about The Guard of Dungeon game, please contact us using this form.